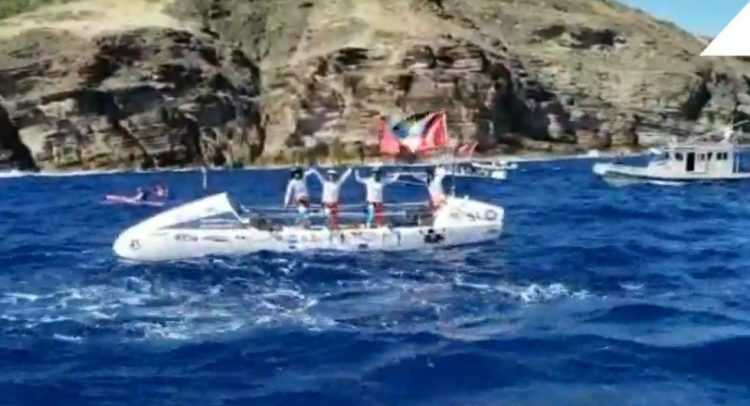 The four women calling themselves Team Antigua Island Girls have completed a journey across the Atlantic Ocean, making history in the process. Elvira Bell, Christal Clashing, Samara Emmanuel and Kevinia Francis, the skipper, began the Talisker Whiskey Atlantic Challenge on December 12. Forty-seven days later they have crossed the finish line at home at the Nelson’s Dockyard in English Harbour. They have become the first all-female Antigua, Caribbean team and all black team to compete in the event. Thousands of residents gathered to welcome them at a ceremony which is ongoing.